GRAND RAPIDS (Michigan) APRIL 12, 2017 -- ArtPrize, the independently organized art competition heralded as the world’s largest public art event, today announced a new way for students under the age of 18 to participate in the annual event. The Youth Collaboration Award, sponsored by Western Michigan University, offers any school or eligible nonprofit educational organization serving students from kindergarten through twelfth grade the opportunity to enter a collaborative piece into ArtPrize Nine and compete for a $5,000 cash prize, awarded by public vote. The Youth Collaboration Award is open to educational organizations -- from schools and nonprofit organizations to summer and afterschool programs -- serving K-12 students. Interested groups may apply to participate by first contacting the ArtPrize team at education@artprize.org during the 2017 artist registration period, April 17-June 8. Each collaborative entry, which must include at least two artists under the age of 18, will then register, connect with an ArtPrize Venue and be assigned a five-digit vote code. These student entries will be installed in Venues across the three-square mile ArtPrize district during the 19-day event this fall -- and the hundreds of thousands of visitors expected to attend the event will determine the winner by smartphone enabled public vote. ArtPrize and Western Michigan University will announce the winner at the Ninth Annual ArtPrize Awards, broadcast live on WOOD TV8. This new award joins a growing portfolio of independently organized prizes at ArtPrize, created by event participants and stakeholders to honor specific achievements within the larger event. Independent awards at ArtPrize include the Paul Collins Diversity in Art Award, the Artista Latino Award, and the SmartArt Competition presented by Consumers Energy, among others. 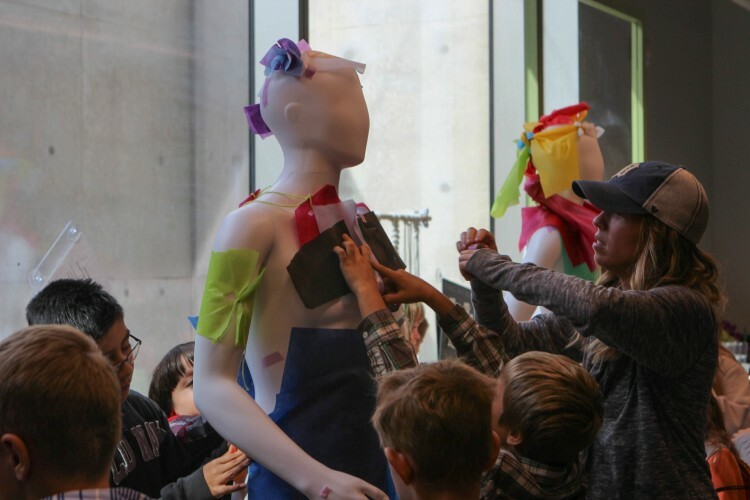 Youth Collaboration Award entries will be exempt from paying the $100 collaborative ArtPrize entry fee, and will not be eligible to win the two $200,000 grand prizes or the $100,000 in category awards, decided equally by public vote and expert jury. In addition to presenting the Youth Collaboration Award at ArtPrize Nine, Western Michigan University will also participate as an ArtPrize Venue for the fifth consecutive year, hosting the winner of Pitch Night Bentonville, and will present the Juried Two-Dimensional Award this fall. ArtPrize will return to downtown Grand Rapids, Michigan from September 20 to October 8, 2017. Venue registration for the eighth annual event closed on April 6, and artist registration will kick off next week, from April 17 to June 8. U.S. News & World Report has designated WMU one of the country’s best national universities for 26 consecutive years and has placed it in the top tier of those universities annually since creating the tier in 2010. Western Michigan University's main campus is located in Kalamazoo, covering more than 550 acres and including 125 buildings. The University offers nearly 350 online courses and has regional locations in Battle Creek, Benton Harbor-St. Joseph, Grand Rapids, Lansing, Metro Detroit, Muskegon, and Traverse City. WMU has earned approval from the Higher Learning Commission to offer courses in Punta Gorda and Tampa, Florida, beginning in fall 2017.